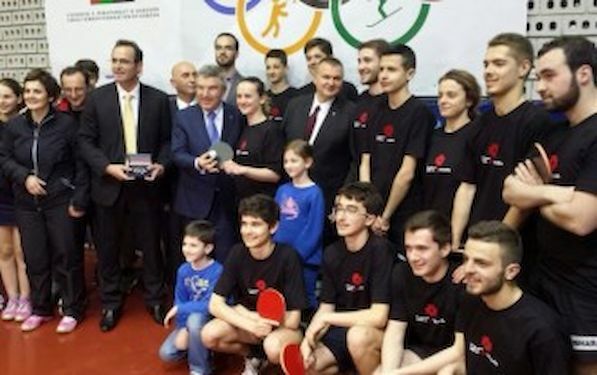 IOC President Thomas BACH has visited Kosovo. He has also visited KTTA office and has attended training camp of young players. “He was excited with the table tennis promotion and the work that we are all doing on promoting sport in this region. He has promised a lot of support in the future for promoting further sport among all communities in order that through sport people get more connected and benefit from it. It was really a honour to have such important person at our association and more than happy that he enjoyed his time and is looking to visiting us again” stated Kosovo TTA representative Jeton BEQIRI.